A team from the University of Michigan (MI, USA) has demonstrated promising preclinical results using nanodiscs to deliver a personalized vaccine for treating colon and melanoma tumors. “We are basically educating the immune system with these nanodiscs so that immune cells can attack cancer cells in a personalized manner,” stated investigator James Moon (University of Michigan). The cancer vaccine consists of nanodiscs carrying unique tumor neoantigens from patients’ individual tumor cells. The resultant T cells, which recognize these specific neoantigens, allow this therapy to target cancer mutations both in an attempt to eliminate established cancerous cells, as well as to prevent tumor growth and expansion. “The idea is that these vaccine nanodiscs will trigger the immune system to fight the existing cancer cells in a personalized manner,” Moon continued. The nanodiscs themselves are made of synthetic high density lipoproteins measuring approximately 10 nm and were initially tested in mice with established colon and melanoma tumors. Once vaccinated, 28% of T cells in blood from mice in the study targeted these tumors. When the nanodiscs were combined with immune checkpoint inhibitors, which are already used to intensify T-cell tumor-fighting responses, the cancer vaccine eliminated tumors within 10 days in most of the mice in the study. After 70 days, the team implanted the same tumor cells into the same mice and noted that the tumors were rejected by their immune system, and thus were unable to grow. 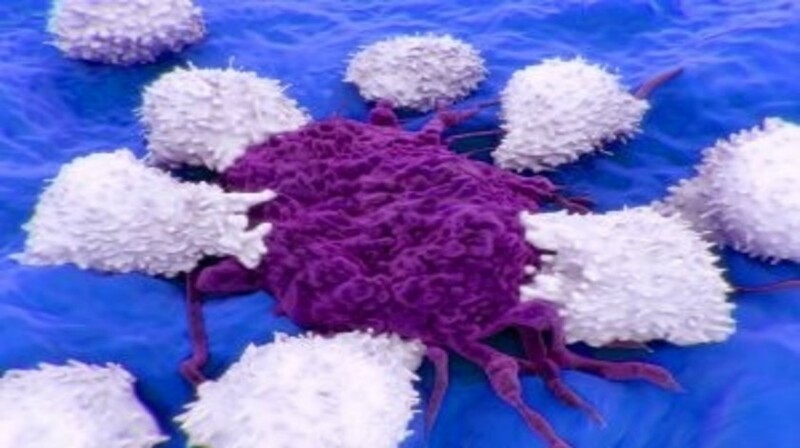 “This suggests the immune system ‘remembered’ the cancer cells for long-term immunity,” commented lead author Rui Kuai (University of Michigan). “The holy grail in cancer immunotherapy is to eradicate tumors and prevent future recurrence without systemic toxicity, and our studies have produced very promising results in mice,” added Moon. Moon concluded by stating the next steps for the therapy would be to test the nanodiscs in a larger cohort of animals.